The Vanderbilt football team is defeated by the University of Kentucky on Saturday, November 11, 2017. Photo by Claire Barnett. Kentucky is officially a football school now. The Wildcats pulled off one of the biggest upsets of the week, beating Mississippi State, who was ranked 14th at the time, 28-7. Running back Benny Snell Jr. rushed for 165 yards and all four of Kentucky’s touchdowns. Outside of the Kentucky game, it was business as usual for the other SEC teams. Georgia, Alabama, Auburn, and LSU all won easily, while Tennessee and Vanderbilt lost to Florida and South Carolina, respectively. The top SEC game of the week is the Tennessee-Georgia game in Athens. Tennessee had an awful showing against Florida and playing Georgia on the road will be a much tougher challenge. The Volunteers committed six turnovers against Florida and have one of the worst turnover margins in the SEC. Meanwhile, Georgia has forced eight turnovers in four games. This game could get ugly for Tennessee. South Carolina visits Kentucky, who is ranked in the AP poll for the first time since 2007. South Carolina rolled over Vanderbilt, but Kentucky is not the easy win they have been in the past. The Gamecocks’ defense is allowing an average of 163 rushing yards per game, but they have not faced a back nearly as good as Benny Snell Jr. With him, Kentucky can control the clock and keep the ball out of Jake Bentley’s hands. Dan Mullen makes his return to the program he built, as his Florida Gators visit Mississippi State. After rushing for 211 yards against Kansas State in Week Two, Mississippi State running back Kylin Hill has almost disappeared. On the other hand, Florida’s running back duo of Dameon Pierce and Jordan Scarlett combined for 140 yards last week. Ole Miss travels to Baton Rouge to take on LSU on Saturday night. Ole Miss quarterback Jordan Ta’amu has thrown for 1,359 yards in just four games. LSU is allowing 244 pass yards per game, so something will have to give in this matchup. Texas A&M looks to bounce back from a loss to Alabama against Arkansas. Texas A&M has one of the best units in the country on third down, and the Aggies are allowing opponents to convert only 24.4% of their third-down attempts. Arkansas’s offense could be in for a long day if they cannot sustain drives. Auburn plays Southern Mississippi at home. After dominating Arkansas 34-3 last week, Auburn’s offense should keep up the momentum against the Golden Eagles. Jarrett Stidham was sacked four times by Arkansas’s defense, and the line will have to use this game to improve pass protection before SEC play resumes. Alabama hosts Louisiana-Lafayette. There’s really not much to say besides that this is one of Nick Saban’s best teams. Jalen Hurts has played in the first four games, so if he enters this contest, he will not be able to redshirt this year. 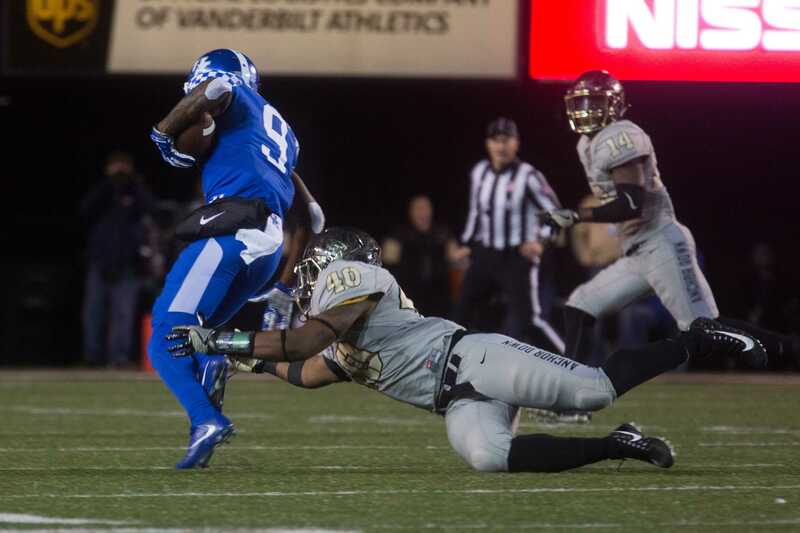 Vanderbilt celebrates parents’ weekend with a matchup with FCS Tennessee State. After a close loss to Notre Dame and a disappointing performance against South Carolina, Vanderbilt needs to get back on track, or else this season could go as poorly as last year.